Grapefruit Diet Plan: Can Grapefruit Burn Fat? Is grapefruit a fruit that burns fat? When the grapefruit diet plan appeared in the 1930s, the weight loss was initially explained by nutritionists as being due to a highly restricted calorie intake and not due to the benefits of the grapefruit itself. 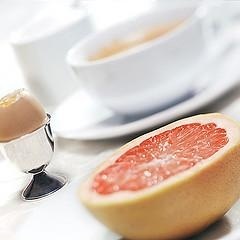 The original grapefruit diet menu is a very low calorie diet which consisted of 7, 12 or 21 day grapefruit diet. Also, there are a lot of diets which include a grapefruit: 3 day grapefruit diet, Atkins grapefruit diet, Grapefruit juice diet, Egg grapefruit diet, and the Mayo Clinic Grapefruit diet. 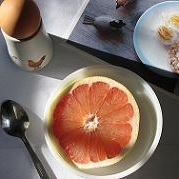 Many people believe that grapefruit is the best fat burning food and one of the best foods that burns calories. 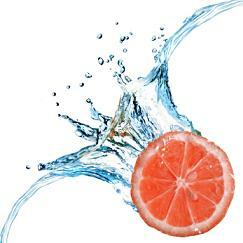 Grapefruit contains a flavonoid called naringenin and is believed to aid in the weight loss process. But what do the experts say? At Harvard University and the Hebrew University of Jerusalem, in 2011 they published positive research results after consuming naringenin. However, they found that when consumed in its natural form, the absorption rate was not great. However, they have since created a compound supplement which in initial tests showed a substantial reduction of bad cholesterol and an increase in insulin sensitivity when tested on rats. In 2009 the University of Western Ontario in Canada, following research on mice concluded that Naringenin can inhibit weight gain by stopping the increase in cholesterol and triglyceride levels when eating a typical high fat western diet. Additionally, the balance between insulin resistance and glucose was maintained. Instead of the liver storing fat, the liver was triggered to burn fat. We should add though that the levels of naringenin used in this study were higher than can be obtained by just eating one grapefruit. The research we have reviewed does not differentiate between the type of grapefruit. Introducing a grapefruit into your daily diet may help in your weight loss goal. Should you decide to pursue the Grapefruit Diet, understand that you will not be able to keep it up for long, given the severe calorie restriction and initially most of the weight lost will be water based rather than fat. Additionally once you come off the diet, you are likely to put the weight back on again. Please note that if you are taking any medication, it is wise to seek the advice of your physician as grapefruit may interact unfavorably. 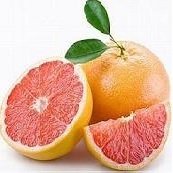 Below are links to four different grapefruit diet plans.